Is it just me or does there seem to be a dwindling popularity of the Lego castle theme? I mean, in 2014 there were only two castle sets produced and they were just battle packs for last year's theme. As an avid Lego castle fan, I am disappointed by this lack of theme development. Maybe I am a bit "behind the times" in choosing to build castles but they have always fascinated me because of their playability and variety. As a kid, I loved the blue wizard and his apothecary, and I was always jealous of my cousins who had lots of forestmen, crusaders, glow in the dark ghosts, and wolf pack marauders. Back then, I didn't have any money to purchase from the wide selection of castle themes that, in my opinion, were some of the best Lego ever made. Now that I am older and have more money to allocate to Legos, Lego has such a small selection of sets that I end up buying multiple copies of the same set. Beyond the limited quantity, there are usually only two factions battling for dominance unlike other themes such as the Mixels or Legend of Chima. Even on Lego Ideas, there are only a few non-branded Castle ideas, (my King's Castle Keep being one of the few). Even the very impressive ideas presented by AlexP are not progressing rapidly enough to reach 10,000 before the year mark. To me this signals that in the creation of new ideas, the general Lego crowd has little time for castles. 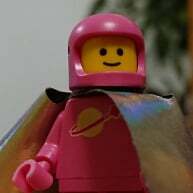 So I have to ask the rest of Brickset. How dead is the Lego castle theme? Is it time to choose a different theme on which to focus my build? The Castle theme is not dead. It has temporarily taken a back seat because of The Lord of the Rings and Hobbit sets. I think it would be foolish to release Lego Castle sets when these themes are currently out. Same as it would be foolish to release Pirate sets the same time as Pirates of the Caribbean. It's just taken a back seat. That said lego were lazy at best during the latest instalments, all sets were just a rehash of old ideas. Perhaps once LOTR and such has passed we will truely see castle theme given the time and effort it deserves. I would love to see a fantasy castle line again......with what they are producing for CMF (Elves, Barbarians, etc;) and ideas from Heroica I could see this doing well and they would have a little more freedom than LOTR provides (and I missed the last fantasy era castle sets). I just think their own fantasy sets would be easier than basing them on scenes from a movie (and I did like most LOTR sets). Anyways any castle line would be great. Well, on the bright side if the popularity is dropping, I'll be able to pick up some fun used sets at low prices. I love the fantasy sets. I have not been enthusiastic about the last few Castle themes as they've just been a bit boring. Unfortunately, I missed out on the Fantasy Era theme as I had not started collecting by the time that it had been retired. I'm really hoping that the next time we see a castle line it's a bit more on the fantasy side than the last, aside from the Dragon mountain set there was no indication of being fantasy era, more like (bad) historical theme. I guess that Chima does that a little bit, but the inclusion of vehicles and gun weapons detracts from it as a really good fantasy theme. I'd love for TLG to have a couple of female knights/witches/not just a damsel in distress I. The next castle line they do to reflect the changing tendencies in fantasy fiction. Infact scrap that just bring the wolfpack back and all will be forgiven!! A normal theme with some more modern versions of the Robin Hood sets would be good, perhaps with an Ewok Village style den, a small holding, an attack on a tax collector, and archery practice as some of the sets. It would also be good to see some themes from older eras like the Romans vs Huns/Celts/Goths. Sets themed on the Crusades would be brilliant too, but I suspect that they wouldn't have those in the fear of someone claiming that they're inciting religious hatred. They don't need to go down the fantasy line, but stuff like the dragons, trolls etc are a lot easier for people to take out then add to a set. Personally I favour the more realistic Castle themes such as Kingdoms and would love to see more sets like those, but I am happy to accept any variety of Castle sets as long as they actually stick with it for a while rather than throwing out a single wave and then abandoning it. ^what would be nice if they did several waves would be to have at least one set per wave featuring fantasy characters...best of both worlds. Castle used to be the theme that made you want more of it, you get an out post but you really want that huge kings castle. but lately the Kings Castles are not impressive in size or design. I think its about time (soon as LOTR is out of the way) for the first NON License UCS! we need a new castle that just dwarfs anything we've seen in the theme before. I would gladly pay 3-400 for a new Castle that rivals the Taj Mahal in scale. and considering that Lego appears to be trying to add more playability to the larger sets this really could work out very well. all that said I would be shocked to see something of that nature released, but man it would be amazing. ^Completely agree that while a set like that is massively unlikely it would be an awesome set to see produced! I think a greater range of battle packs would be great too. Having a nice castle with a good range of minifigs is great but I'd almost certainly want to add half a dozen guards and build up an enemy army outside the walls prepping an attack. Throw in some if the goblin type characters as battle packs and loads of potential! That and Castle has never been HUGE like City, which is a bit sad as Castle has had some nice lines in the past, but in the 2000's not so much IMO. I think the last really good ones were with the Orcs, but Ultimately if LoTR and Hobbit have sets, then do not expect much from Castle line. It is the same reason that there is no really good space line for LEGO, why compete with Star Wars? I think the nature of the star wars theme is different and there have been a lot of space themes alongside star wars...but I agree that POC and LOTR have most likely interfered with the standard pirates abd castle themes. I am hoping for a 10xxx size replacement for MMV and Joust to come next year. Both of those sets were brilliant. And while licensed, The LotR line has had some of the most enjoyable castle builds in some time. The detail and amount of brick-built sections is much greater than the traditional castle with giant wall slabs. I know there was a lot of complaints about Helm's Deep or the Black Gate not being massive enough but I know I really enjoyed building both of those. I would like to see future Castle lines go for more brick-built detailing. I also agree with those who mention the need for additional factions like Wolfpack or Forestmen. Those were some of my favorites growing up and really added to the diversity of set type and allowed for more creative play. I am guessing however, with Pirates coming back next year Castle will probably remain on the back burner for another year or so. ^I'm really looking forward to Pirates filling the Castle shaped void, POC was going on when I can out of dark ages so I haven't had a proper non licenced pirates theme yet, don't think I'll go mad on it, but a couple of little sets will almost certainly find their way into my possession. But isn't the next Pirates line really just the PoTC license again? I thought that is what it was. No. There was a contest back in April to name an upcoming ship for release in 2015. Whether this means there will be an entire theme is unknown, but there will be at least one ship, and it won't be a licensed theme. The next POTC film has been pushed back to 2017, so it will be a while before the possibility of sets based on it. I'm a huge fan of Castle and I agree Lego needs to make more Medieval like themes that were like castle, but make it a slightly different. Maybe introduce a new faction or reintroduce another. I am looking forward to the day that Lotr is behind us. Except for the battle of helms deep, I have been very disappointed that those sets have been taking the place of good castle sets. As for potential future castles -- this castle isn't as large as the Taj Mahal but it does fill a hole that Lego has had in it's product line for a long time. It was build for playability as well as general castle appearance. Don't know about PotC (aside from the first film, the others were disappointing, so not too worried there) but Pirates *are* coming back for a proper theme in 2015! I have it on good authority! Is LotR/Hobbit really responsible for a decline in the quality of the Castle sets? Of the 25+ sets in these two themes, only one (plus one associated wall) is a castle. I for one can't wait but my wallet can. When the next pirate line comes out I'll be buying three of each set. I would love for them to do two castle themes in conjunction. The first would include knight factions(Black Falcon, Lion, Dragon and Crown knights), outlaw factions (Black Forest, Wolfpack) fantasy factions (Trolls, Elves, and Dwarves) and civilians. The other would be an ancient world theme that would stray from typical Medieval Europe, with sets from across the globe. Mayan, Inca, Chinese, Japan (Like they did with Ninja) Persian, Arab, Mali, Egyptian, Nubian, Viking and other peoples from ancient and medieval times. Diversify. Since I feel they sold LOTR short, I would really like a nice diverse group to choose from. But they'll probably never do it since they think that no one would want anything non-european centric (Even though I think people would). I'd say it's not that people wouldn't want them, but they would need to get the brand of the theme right. Castles, I think in most people's minds at least, puts European history in mind, if they were to put a Mayan temple in with it I think the average parent would be confused. If they used the Kingdoms name, changed the branding so the logo wasn't so Medieval Europe then they could easily explain the inclusion of other historic cultures by including a "King" character for each civilisation. A true lego KINGDOMS I like it!! My preference should it take that route would be 'groups' based on fiction but removed to this new lego universe. Some tribe style with masks, spear temple etc. Perhaps the new theme could be called something like Kingdoms Legends and rather than just a sword/shield combo logo it could be various weapons to represent the different kingdoms. ^ I think that particular theme might have to be made by fans and never an official theme for some strange reason that I can't put my finger on...probably a Lannister to blame for it though! I would love it if Lego were to do a reboot of the Forest Theme. Ancient Rome would be quite refreshing. It goes in cycles. Crowded out a bit with all the licensed stuff right now.